You have always dreamt of learning to spin fire? Welcome! We offer regular trainings for all who are interested in mastering different fire juggling props. 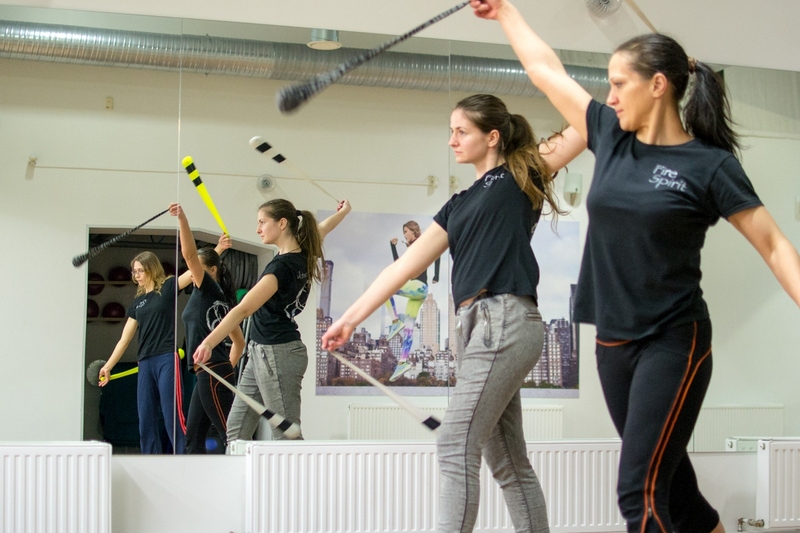 Our studio offers poi-spinning technique for beginners and more complex tricks for those that already know the basics. 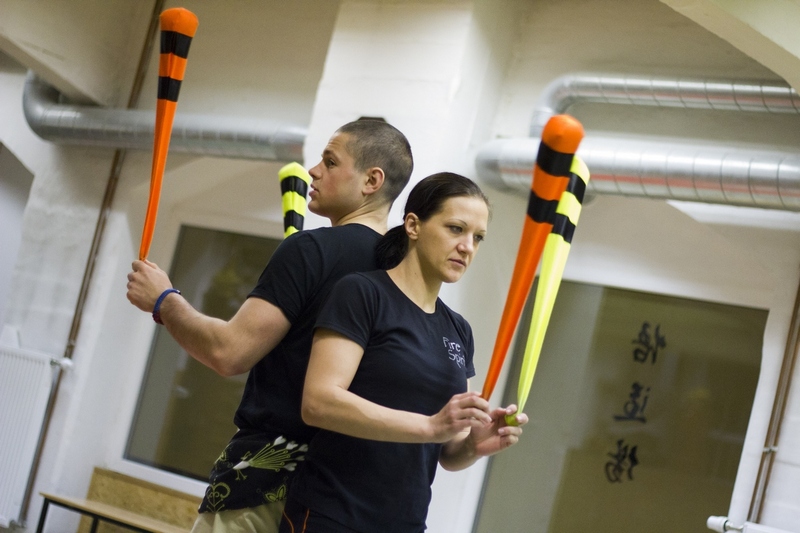 Poi have no limits, there is always something new to learn. 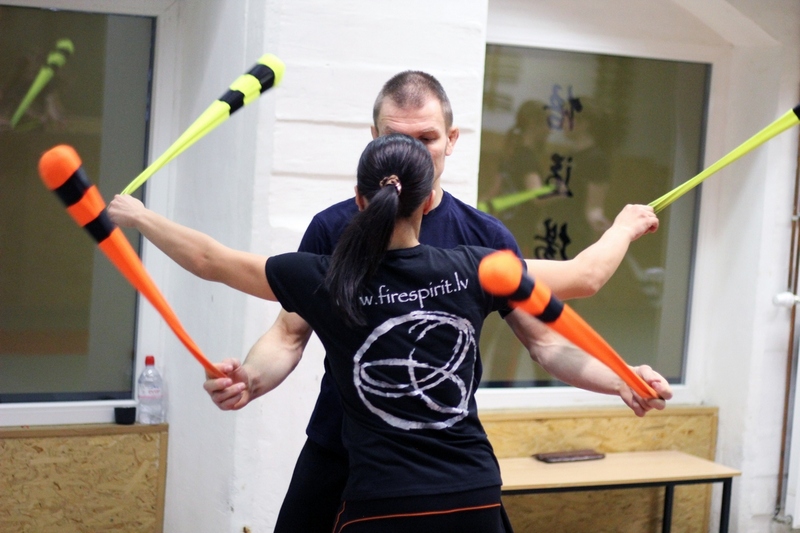 You can also learn to handle other juggling props of your choice: contact staff, double staffs, fire fans, contact juggling and others. We teach without fire first, of course. But after mastering the first necessary set of moves we will offer you a chance to try them with fire as well. The most diligent ones we will gladly welcome into our show-team. Why is it good to spin poi or juggle? You can easily amaze your friend with your new exotic hobby!